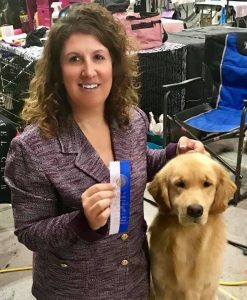 Theo is loved and owned by Beth Kuoni , She enjoys doing therapy work with her boy who holds an AKC Therapy Dog Novice Title and Pet Partner Certified. 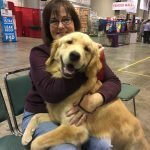 Beth is new to the dog show world and has enjoyed meeting new friends and watching Theo shine in the ring. 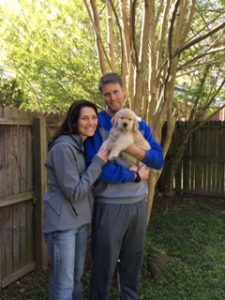 Tucker is owned and loved by Dan and Trish Hopkins. Tucker loves the beach and I see Dock Jumping in his future. 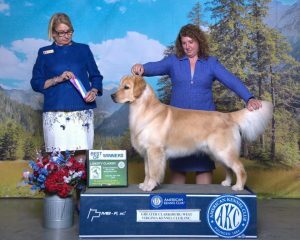 I also expect some Obedience titles as he is one smart boy . 2018 should be fun. Tucker was the pairing of GCH Harborview OS x Carova’s Rolled Into Steadmors Helping Hands RN CGC . 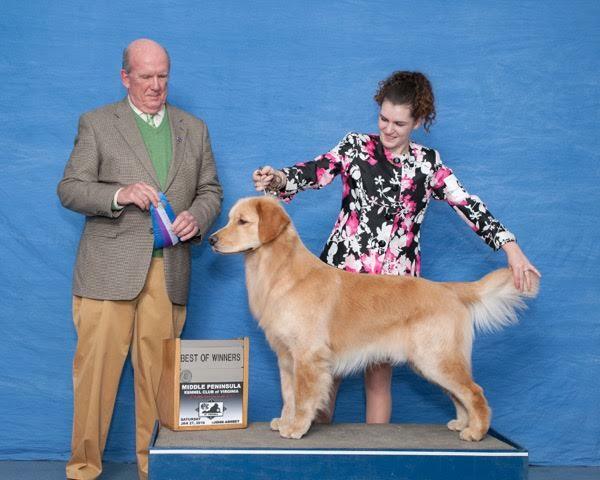 They are new to showing and have enjoyed the social aspect of dog shows. 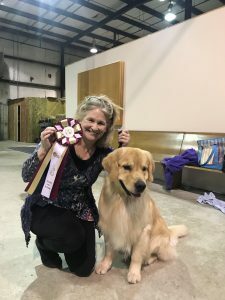 Dan has taken handling classes and improved so much that he won Best in Show at a Fun Match in Virginia Beach , VA. Tucker was shown on a very limited basis and finished quickly. Dan is looking forward to working Dock Dogs with him when he turns two years old. 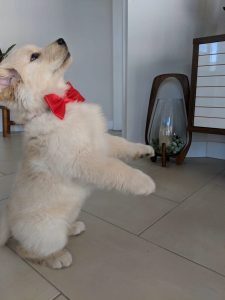 Stud dog package available on request. Dakota is a very special boy. He is loved and resides with Nancy Corliss and her husband Jim. Kay Meyer gave Dakota his beautiful show name and early beginnings. 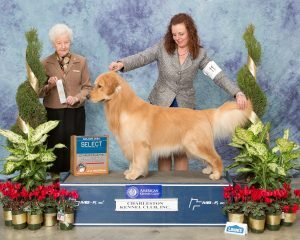 Dakota is a repeat breeding in 2017 of GCH Harborview Under Construction OS x Carova’s Rolled Into Steadmors Helping Hands RN CGC. 04/29/2018 News Flash! Dakota took WD three out of the four days and a BOW while showing in WV. The fourth day he took Reserve. Thank you Kristin Lyons for presenting him so beautifully! 01/27/2018 NEWS! Little Junior Handler Hope Matkins grew up and had her first Professional Handling gig today. She came out of the gates a blazing with Carova Olympian Gymnast Chris Brooks, “Dakota”. Thank you Hope for showing him so beautifully . 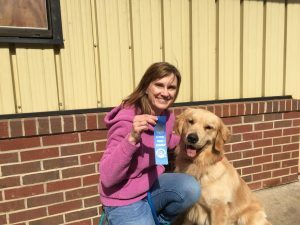 Dakota picked up WD and BOW for two points out of the 12-18 month puppy class. We look forward to watching Dakota shine this year. Carova Offspring and Dogs bred by a Carova Boy . GCH Carova’s Handiwork of Oberon CD RN DS DJ x GCH Victory’s My Wave of the Highway had a beautiful family. This is the one and only , limited edition litter from my sweet Oberon. 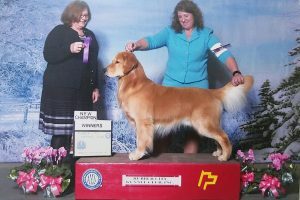 This is Ruger and he is owned by Howard and Teresa Joyner in VA.
02/17/19 Ruger went Reserve Best in Show at the International Show held in King Port NC. It was a joy to show the son of my sweet Oberon and receive this placement. A great day. A wonderful memory to hold in my heart. Official photo soon. 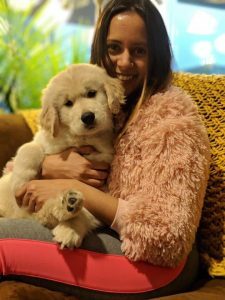 Koa is owned and loved by Vikrant & Priyanka Potnis-Sawant in VA.
, ” Nancy, we want to do this!” We look forward to many adventures with this baby and wonderful family.